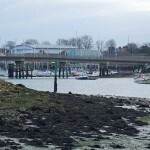 Today in Gosport’s Past:- on 1 April 1835, Robert Cruickshank’s Haslar Toll Bridge was officially opened. 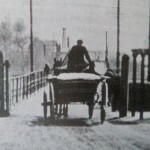 This wasn’t the first; a previous toll bridge was constructed in 1795, and owned by a Mr Forbes. 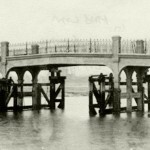 The original bridge appears to have been something of a ramshackle affair, as by 1801, only six years after being built, it had collapsed to such a degree that what was left had to be demolished the same year. 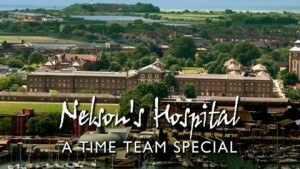 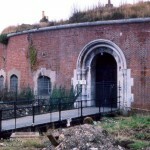 Despite a great deal of pressure, the Admiralty refused to fund the building of a new bridge, and for some years, the man running a ferry service to Haslar (who had built a house at the Gosport side) opened his house as an ale & spirits outlet in order to make up for the tolls he’d previously collected;, much to the dismay of Haslar Hospital authorities. 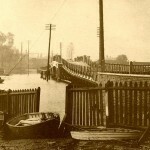 A second, temporary bridge was constructed by the Royal Engineers in 1811, but this also collapsed in 1818. 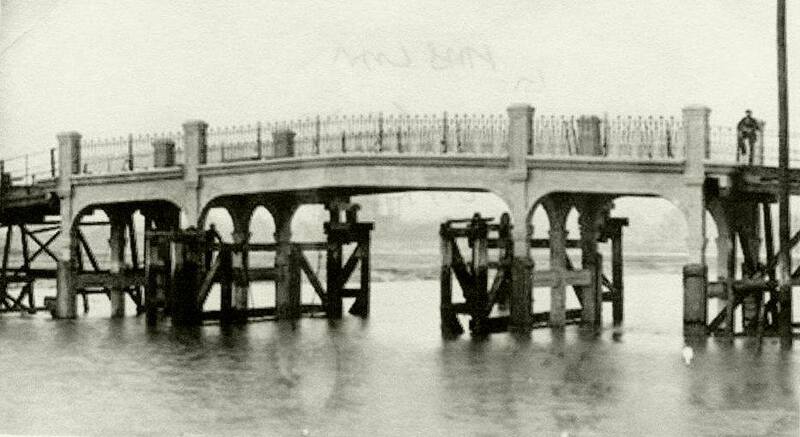 This situation wasn’t rectified until 1835, when Robert Cruickshank opened his new bridge. 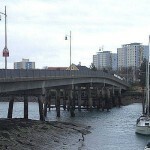 Cruickshank’s building of the bridge was also intended as a more direct road route to his newly completed Crescent, and his dream of Angleseyville, which sadly was never completed, the idea being that it would make it far easier for visitors from Portsmouth to reach Angleseyville, as the only other road route to Alverstoke was via The Avenue, which wasn’t even a ‘made’ road until the mid-1960s. 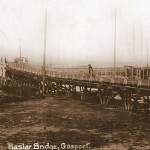 The centre of the bridge was moveable to allow vessel movements in and out of Haslar Lake; this was replaced by a solid, unraisable section in 1911. 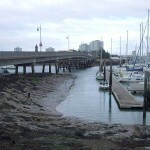 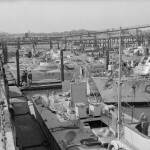 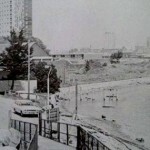 The bridge remained this way until being bombed in the early years of WW2; the roadway of the bridge was badly damaged at the Haslar side, and the middle section may have been purposely breached, or bombed – I’ve not discovered which. 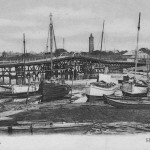 The tall pedestrian structure we all knew fondly (or otherwise) as Pneumonia Bridge was erected on top of the remains of the old bridge, and needed to be that high in order for gunboats and the like to reach the HMS Hornet gunboat yard. 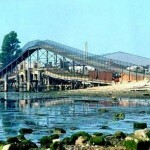 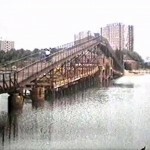 This tall structure disappeared in the few months before the new road bridge was opened in 1980. 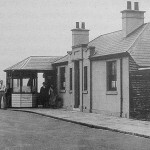 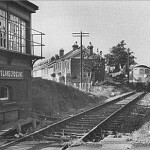 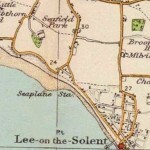 ALSO Today in Gosport’s Past:- on 1 April 1845, the telegraph service was begun between Gosport railway station and London – particularly Admiralty House; the telegraph wire followed the railway line via Woking, Basingstoke Bishopstoke (Eastleigh) and Fareham. 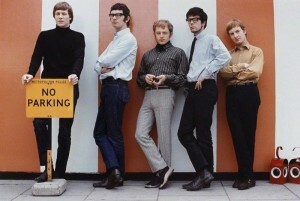 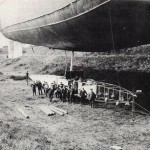 At the time, this was the longest single piece of copper wire in Britain. 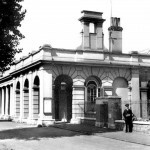 It was set up originally to enable messages to get from Admiralty House, in London, to HM Dockyard in Portsmouth (the railways only reached Portsmouth town from London in 1847, and Portsmouth Harbour station wasn’t opened until 1876); Royal Navy orders were sent by telegraph to Gosport, and then sent by semaphore to the dockyard from Clarence Yard, recieved and sent at/from HM Semaphore Tower. 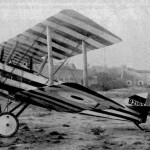 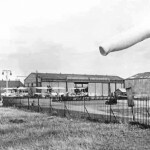 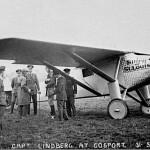 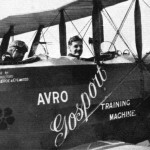 And ALSO Today in Gosport’s Past:- on 1 April 1918, Grange Airfield, changed hands from the Royal Flying Corps (Army) to the Royal Air Force, becoming RAF Gosport that day; this included Fort Grange and Fort Rowner, and the airfield remained under the control of the RAF until 1 August 1945, when the Royal Navy took over, at which time it became HMS Siskin until closure of the airfield on 1 June 1956, at which point it became the RN training establishment HMS Sultan.The Grange naval estate was mostly built on the airfield between 1965 and 1969. 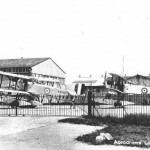 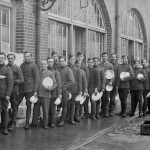 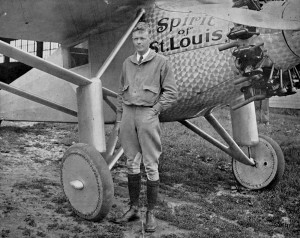 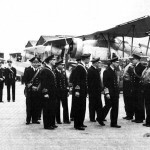 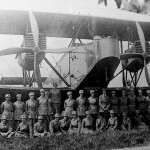 On the same date, 1 April 1918, the Naval Seaplane Training School, at Lee-on-Solent, also came under control of the RAF when a merging with the RFC took place. 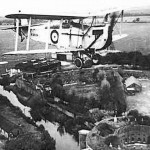 This, in turn, became part of the Fleet Air Arm on 1 April 1924, become Royal Naval Air Station Lee-on-Solent from that date. 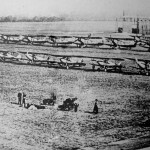 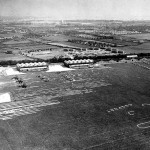 Construction of a grass airfield began in 1931, and this was opened on 25 October 1934, becoming commissioned as HMS Daedalus on 24 May 1939, under control of the Royal Navy. 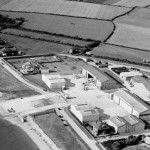 The base was renamed HMS Ariel on 31 October 1959 to reflect the technological nature of the training there; it was renamed HMS Daedalus on 5 October 1965. 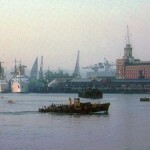 HMS Daedalus closed on 29 March 1996. 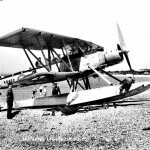 The Hovercraft Museum is currently housed on the original Seaplane School, which had opened on 30 July 1917 as an extension to the Seaplane School at Calshot.